There are big changes afoot in the kitchen at the Georgia International Convention Center. The GICC’s commitment to restaurant-quality food – and only food of the highest quality – is under direction of Chef Doug Kieley. So new, exciting and different is the food now being served to GICC guests that it deserves an entire new look in packaging and presentation – and even its own high-profile name. We’re calling it CulinAero, and it’s an all-new approach to convention center dining. CulinAero is inspired by new menus from Chef Kieley that include only the freshest seasonal ingredients sourced nearest to home. 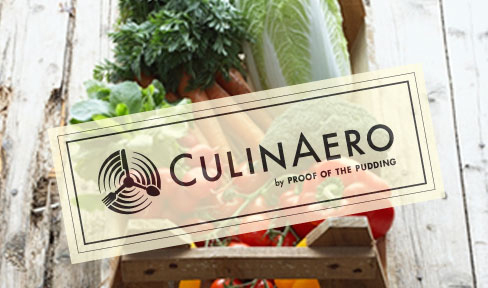 CulinAero is restaurant-quality food, prepared passionately using techniques from the finest four-star kitchens the world over. CulinAero is a wide and diverse range of ethnic, regional and international culinary tastes and signature dishes. CulinAero extends to the presentation and service you’ll receive as a guest and diner at the GICC. You will be served by an eager staff in crisp, new uniforms. Throughout the GICC, the art of CulinAero will be represented by new packaging, remodeled concession stands and tents, and new services, from digital monitoring boards to our “green vest” floor managers to address your guests’ every request. Introducing CulinAero, the newest GICC innovation: memorably distinctive menus, presentation and service.